At the 10th of February 2014 the online trainings of the European project Trans e-facilitator started in the countries Latvia, Portugal and Germany. Therefore the partner organisations arranged national face-to-face meetings for the participants in their countries. 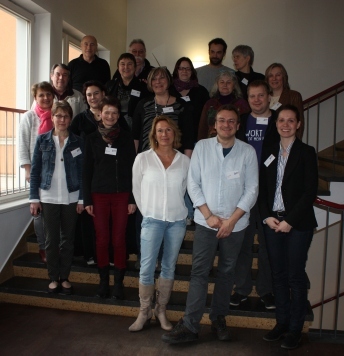 Germany: Eighteen trainers and trainees met at the 08th of February 2014 in Germany´s capital Berlin in order to learn more about the online training and discuss their first steps with the e-learning platform. After four hours presentation, discussion and one peppery lunch all participants were curious to start the training for promoters of digital media.